Compare and contrast, which do you prefer? As always, we have some surprises up our sleeves for you! Taste 20+ great world wines. Enjoy Hannibal’s famous Bubbles Bar! The Venue is the wonderful Wandsworth Oasis Charity Shop at Amen Corner (Tooting). Whilst you enjoy your wines and masterclasses you can browse the treasures and they will be open for business! Tickets are £20. If you love the wines then you can order some at the end and we will deliver free the following week with no minimum order. 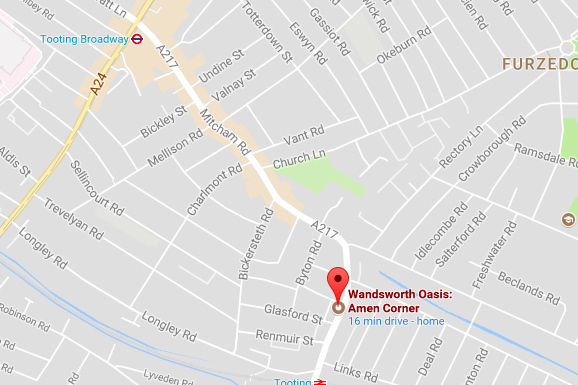 Wandsworth Oasis are a local charity raising money for HIV support and prevention projects through its 8 charity shops in South West London. 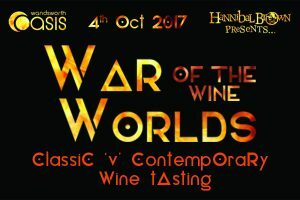 We will be raising money for Wandsworth Oasis through ticket sales, the Bubbles Bar and possibly a raffle on the evening. Doors opened at 6:30pm and close at 9:30pm.